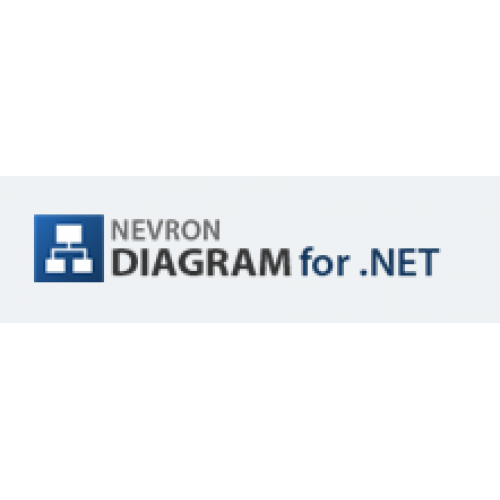 Nevron Diagram for .NET helps you to integrate and display sophisticated diagrams in your .NET Windows Forms and ASP.NET applications quickly and easily. It is a complete diagramming solution, packed with many interactivity features, shapes, automatic layouts, stunning visual effects and comes equipped with ready to use controls to help you boost your application development. Carefully crafted to meet different requirements, it provides unmatched extensibility options, which will help you to integrate the solution better into the context of your particular application. 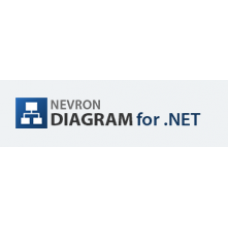 Nevron Diagram for .NET provides advanced support for interactivity, behavior customization of different diagram elements, automatic layouts, graphs and trees, support for different measurement units, visual effects and decorations, different image formats and more. With Nevron Diagram you will be able to produce any type of diagrams and flowcharts, hundreds of intuitive samples and examples with source code are included to speed up your development time. Nevron Diagram for .NET comes with an extensive Document Object Model (DOM), which can help you model virtually any type of diagram. The DOM implements core diagramming elements, such as drawing documents, library documents, masters, layers, shapes, groups, connectors, ports etc. You can easily subclass any DOM element and extend its capabilities. Drawings can be exported to various raster and scalable graphics formats (.png, .bmp, .jpg, .svg etc.). Documents can be serialized in XML, binary and SOAP formats. Implemented are a lot of automatic layouts. Drawings can be displayed in both WinForm and WebForm views. The objects that you use to construct a diagram document are organized in a powerful hierarchy in which you can plug at any level. The content of a document is hierarchy organized, which help you easily inspect and manage its content. The entire DOM supports a remarkable Undo/Redo system. Custom and commonly used shapes as well as entire drawing clippings can be stored for later reuse in libraries. Libraries contain masters, which can be instanced in any drawing. Library views help you preview libraries in several different styles. The only diagram on the market with such remarkable visual impact and speed. You can apply image filters, gradients, textures and advanced shadow effects on all type shapes including texts. The component supports XML formatted texts, which help you display stunning texts with mixed font, size, subscript and superscript formatting as well as with mixed style. The component fires tons of events, which will inform you about any change made in a document or in a view. There is support for event listeners, bubbled and broadcasted events. No interactivity feature is left behind - there is support for auto scrolling, panning, preview ghosts, glue highlighting, selection and interactive highlighting, drag drop previews etc. DOM elements can respond to user actions. The component features a complete User's Guide, Programmers Reference and a huge set of examples for C# and VB.NET wrapped in state of the art example browsers for Windows Forms and ASP .NET. The Nevron Diagram installation system will automatically add the chart control to the Visual Studio Toolbox allowing you to immediately start development without customizing VS by yourself. Nevron Diagram for .NET includes both Windows Forms and ASP.NET and has full support Visual Studio 2005, Visual Studio 2008 and Visual Studio 2010.